Sushi La Bar and Grill Restaurant feature 3 distinctive restaurants in Larnaca, Nicosia & Paphos, offering a unique blend of select Japanese, Asian & South American kitchen. 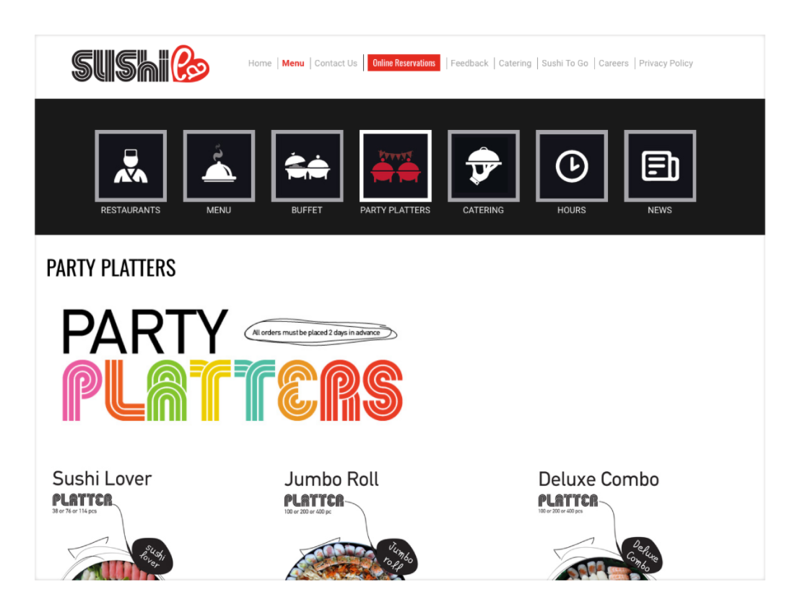 Based on a fruitful 3-year collaboration with Web Theoria, Sushi La decided to entrust Web Theoria for a second consecutive time with the task of designing and developing their brand new, custom, responsive website. Of course – with Sushi La being one of our favourite spots/restaurants – we couldn’t resist! 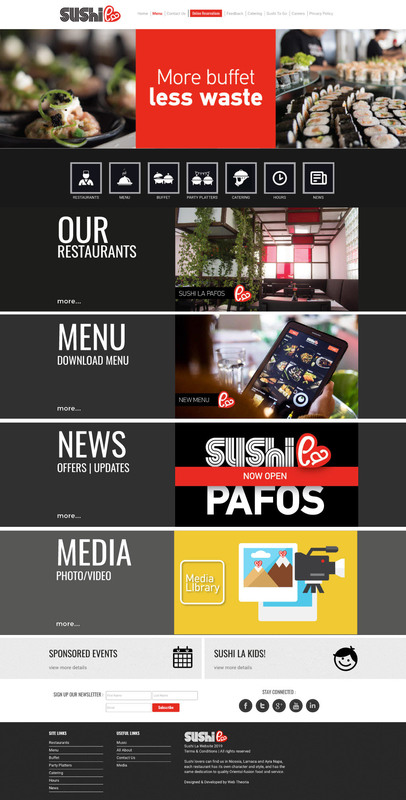 We wish the best for Sushi La and their new website. If you haven’t given Sushi La a try yet, you are missing out! Pay a visit there; who knows, we might even meet!